This paper discusses the origin and the development of the new concept of Teaching Chinese as an International Language. It discusses the similarities and dissimilarities between this concept and other concepts that concern the global education of Chinese language and culture. The discussion involves the policies and theories that support the new concept, which include UN’s position on the protection of the linguistic rights of the minority peoples, Australia’s National Policy on Languages and researches in the concept of Global English. The paper attempts to introduce theories and concepts of international linguistic studies into the research and global education of Chinese language. It aims to replace our traditional understanding of teaching Chinese for foreigners with a new concept of global perspective so that we will be able to understand and develop Chinese as an international language. Task-based language teaching (TBLT) is a mainstream language teaching method in the field of teaching Chinese as a second/foreign language (TCSL/TCFL). However, there is considerable variation in classroom application. This study investigates perceptions, perspectives, and confidence levels of TCSL/TCFL teachers in Taiwan and the United States who implement TBLT in their classrooms. An online survey was administered to 292 TCSL/TCFL teachers at colleges or universities, and Fisher’s Exact Test was used to statistically analyze survey responses. Results showed that TCSL/TCFL teachers in both groups demonstrated appropriate understanding of TBLT; however, the groups differed significantly in degrees of understanding and perspectives on implementation. Furthermore, although both Taiwanese and U.S. teachers were confident in task implementation, their confidence levels differed in various aspects. Responding to the argument and approach of Thomas (2015), the study verifies the applicability of the weak TBLT version and flexibility of its implementation in Taiwan and the United States. This paper proposes three mnemonic teaching and learning strategies that exploit working memory to make Chinese L2 vocabulary easier to store and retrieve. These strategies follow from experimental results demonstrating that the component of working memory known as Focus of Attention (FA) is as robust in second-language learners as it is in native speakers. The first strategy involves utilizing the natural collocation inherent in Chinese word and phrase content. The second strategy takes advantage of the redundant listing of tones in the Chinese lexicon. The third strategy exploits the well-known homophony inherent in Chinese lexical items. Taken together, these three mnemonic devices may be considered information ‘handles’ that the Chinese language is especially equipped to provide. The information can be used by L2 learners of Chinese to improve their lexical storage and retrieval capability. This study investigates the tone perception of Thai-speaking second language learners of Mandarin Chinese. Thirty Thai-speaking learners of Mandarin Chinese from two groups (Study-Abroad Group and At-Home Group) participated in the longitudinal study in Taiwan and Thailand. Using a pre-test-post-test design, it compared the effects of study abroad on the accuracy rate of Mandarin tonal perception of Thai-speaking learners of Mandarin Chinese. The results showed that most Thai learners of Mandarin Chinese in the Study-Abroad Group perceived Mandarin level tone (Tone 1), low falling-rising tone (Tone 3) and falling tone (Tone 4) more accurately. Study-Abroad Group outperformed At-Home Group on the tonal perception tests. On the other hand, error tokens of Tone 2 from perception tests were reduced in the Study-Abroad Group, after 24 hours of studying Mandarin in Taiwan. Findings from the perception tests support the Speech Learning Model (Flege 1995). This study suggests that communicative tonal drills and explicit phonetic instruction in Mandarin classroom interactions have effects on the tonal perception accuracy of second language learners of Mandarin Chinese. One of the main ways of enhancing the language proficiency of Chinese learners above the intermediate level is to assist them in improving their Chinese vocabulary literacy and usage level. Thus, based on the connection between sememes and words advanced in the Connectionism theory, this study proposes that word teaching can be conducted by using a word network constructed with key sememes. This study retrieves words with the high-frequency sememe, kai, from the corpus, and examines word frequency and sentence use in order to determine a set of kai-compounds that are worth learning in an earlier stage. This study then integrates the syntax-lexicon continuum in cognitive linguistics with the semantic continuum, indicates the attributes of kai, presents its 4 images, and then analyzes the sememes of compounds with kai. The results show that kai has 6 sememes, which can be used to categorize 43 kai-compounds into 6 word networks. Finally, a teaching guide on the 6 word networks is provided as a reference for Chinese teachers and textbook compilers. With a growing number of Chinese immigrants around the world, more and more heritage language learners want to learn Chinese at universities in their settling country. It has been widely accepted that the heritage language learners should receive separate curricula because their needs are different from the Chinese as a foreign language (CFL) learners. However, programs do not always have enough resources to offer a separate instruction for the heritage language learners. There is a need to bridge the gap between theory and practice. This study examines 39 Chinese programs from the top 150 universities in Modern languages in North America and Oceania. Based on the data, a typology of the Chinese heritage language programs is presented. Further analyses illustrate that 77% of the investigated top universities offer heritage courses. However, there seems to be a regional difference between North America and Oceania. Furthermore, the complexity of heritage programs is correlated to Asian/Chinese demographics in the universities or the regions. The university structure and student demographics play an important role in program curricula. Based on these findings, further recommendations are proposed to assist a program to develop its heritage language track in a realistic manner. Migrating from homeland in China to Singapore, Singapore Chinese put down roots, have a family and eventually become citizens in Singapore. The implementation of the racial integration policy in the past fifty years has not only forged a distinctive Chinese Singaporean identity, but also brought a major change in the sociolinguistic landscape. There is thus a significant variation in attitudes towards Chinese language and culture and ethnic Chinese identity across generational cohorts, due to different home language use and education background. It is essential, in the age of globalisation, for mainland Chinese and Chinese overseas to recognise and respect the fact that Chinese overseas has evolved a distinctive identity over time and space. The main purposes of this study are to analyze the error patterns and problems of Mandarin initial consonants and tones for Thai Chinese students, and to examine the possible effects Chinese background can impose on Thai Chinese students in the area of Mandarin pronunciation. The sample participants tested in this study are Thai Chinese students who study Mandarin in Taiwan. Single word reading method is used to collect the data of pronunciation of Mandarin initial consonants and tones from Thai Chinese students. Perceptual judgment technique is used to determine the correct rate of each Mandarin initials and tones and their error patterns. In addition, this study ranks the error type frequency on different Mandarin initials 0and tones, showing a more scientific frequency ranking on Thai Chinese pronunciation. The results show that in terms of consonant pronunciations, the main error patterns for Thai Chinese speakers are their pronunciation of affricative sound to be fricative sound, such as ch/tʂ^h/is pronounced as sh/ʂ/, q/tɕ^h/is pronounced as x/ɕ/, Also, their pronunciation of retroflex sound to pronounce as alveolar sound, such as r/ʐ/ is pronounced as l/l/; retroflex sound to pronounce as alveolar sound, such as zh/tʂ/ is pronounced as z/ts/, sh/ʂ/is pronounced as s/s/; or alveolo-palatal sound to be pronounced as alveolar sound, such as x/ɕ/to pronounced as s/s/. In terms of tones, most Thai Chinese students can accurately pronounce the four Mandarin tones; however there is the slightly higher rate of error in the second tone to be pronounced as fourth tone. Based on this error type analysis and error type ranking, it is hoped that Mandarin teachers will be able to improve the effectiveness of Chinese phonetics teaching when interacting with Thai students with Chinese background. In Singapore, the use of English at home was generally more prevalent among Chinese community with higher socioeconomic status (SES). In this paper, we aim to investigate the current home language environment of Singapore Chinese children, and to find out the relationships between home language, SES, and Chinese oral competence in Singaporean Chinese children. 1233 parents of Singapore Chinese children aged 6 from 73 preschools participated in the questionnaire survey, and 377 Singapore Chinese children aged 6 participated in the language proficiency test. The results showed that Singapore Chinese children aged 6 used more English at home. SES had direct influence on home language exposure. Home language exposure had direct influence on Chinese oral competence. SES had no direct influence on Chinese oral competence. The results suggest that the promotion of Chinese as the main home language is important and imminent. More investigations on home language and school language are needed for policy making. People apologize differently. The apology strategies that previous studies classified include: (1) IFID expressing regret, (2) IFID requesting forgiveness, (3) intensifier, (4) repair, (5) explanation, (6) lack of intent, (7) self-blame, (8) admission of fact, (9) promise of forbearance, (10) acknowledgement, (11) concern, (12) minimizing, (13) alerter, (14) justification. Most of the research literature on the speech act of apology collected production data to examine the speech act of apology of a specific culture or compared the speech act of apology across cultural groups. The issue concerning whether and how different types of apology strategy work differently in changing the perception of transgressors has attracted relatively little attention from researchers. This study is intended to contribute to the body of research on pragmatics by examining the single and joint effects of apology components on the victim’s perception of transgressors. The lexicon in human’s mind is an organized system which is called Mental Lexicon. Word association which reflects the relations of words is a common research method to study the organization of Mental Lexicon. Based on word association, we compare the organization of four action verbs related to Wearing in the Mental Lexicon between elementary to higher-level English speaking learners of Chinese and native Chinese. The four verbs were chuan (to wear clothes), dai (to wear glasses, hat, gloves, caps, etc. ), tuo (to take off clothes, shoes, gloves, etc.) and pi (to drape over). Analyzing the relations between the response and the stimulus, we found that the word net connections of the learners were much sparse than those of the natives. The number of words in the net of learners was less than that of natives while their non-semantic relations were more than those of the natives. Concerning the meanings of the four verbs, the Mental Lexicon of learners only indicates the meaning of ＂put on/take off clothes＂, while the Mental Lexicon of natives Chinese shows several senses of these verbs. Suggestions of teaching contents and teaching sequences of these four verbs are proposed in this writing. Practical text or practical writing is the genre which carries messages to exchange information between sender and receiver. It’s important to learn how to interpret various information received in daily life and to respond appropriately for the social interaction purpose. And second language learners not only need to understand the concept of different genre, but also need to possess the knowledge about context and linguistic features of various texts to communicate well with others. Therefore this paper analyzes the practical writing of 20 CSL (Chinese as a second language) students and concludes their performance is generally weak especially in terms of stages, tenor, mode, ideation, appraisal, conjunction, and reference. Based on the analysis of CSL students’ authentic materials, this paper further applies the 「Reading to Learn, Learning to Write」pedagogy to design the teaching of practical writing with the concepts of genre, context, and language. Developed from the theory of Systemic Functional Linguistic, Reading to Learn pedagogy has been recognized as one of the most effective and well-designed genre study from theoretical and pedagogical aspects. The significance of this paper is to understand the performance and learning needs of CSL students, and to develop effective teaching design which can help to enhance the teaching and learning of Chinese practical writing. ACTFL Proficiency Guidelines (ACTFL) and Common European Framework of Reference for Language (CEFR) are two major language proficiency guidelines adopted internationally in the fields of language teaching and assessment. This study aims to link the framework of CEFR and ACTFL by utilizing the Children’s Chinese Competency Certification (CCCC). 11 experts have participated in a two-round standard setting procedure applying the Bookmark Method. The CCCC Reading is a standardized test designed based on the CEFR proficiency descriptions for Basic User (A1-A2). The standard setting procedure was performed on the CCCC Reading focus on ACTFL novice and intermediate levels. The research suggests the following results. First, the pre-A1 reading proficiency which is lower than CEFR A1 is equivalent to the novice low and novice mid levels in ACTFL. The CEFR A1 reading proficiency is equivalent to ACTFL novice high and intermediate low levels and the CEFR A2 is equivalent to ACTFL intermediate mid and intermediate high levels. Second, the evidence of procedural validity and internal validity are provided to support the validation of the standard setting. Finally, in describing reading proficiency and learning progress in the beginner levels, the process of standard setting has revealed similar characteristics in both the CEFR and the ACTFL framework. The results of this study allow the test takers of CCCC to interpret test results with the language proficiency framework which they are familiar with. It can also provide language learners and educators with a more objective correspondence between CEFR and ACTFL. Primarily based on theoretical views of second language acquisition (SLA), this article aims to design a prototype of indicators for Chinese teaching materials analysis from a pedagogical perspective. To this end, first of all, we briefly discussed what SLA theories can contribute to the teaching of Chinese as a second language. Secondly, we compiled and discussed the most relevant SLA and Materials Development in Language Teaching bibliography in the last few decades. At each point, based on the discussed theories, we attempted to extract indicators for the purpose of analyzing Chinese teaching materials. Eventually, we designed a prototype tool with 4 different levels: (1) Language, (2) Cognition, (3) Teaching Approach, and (4) Students which include 17 indicators, a total of 80 items. It could be used as a reference for analyzing materials as well as for designing them. The purpose of the present study is to investigate the characteristics of text comprehension. We use an approach that includes 32 linguistic features from four main levels (word, semantic, syntactic, and cohesive) that relate to Chinese text readability. The aim is to overcome the restrictions that resulted from adopting only surface linguistic features in investigating text readability in the past. In the present study, the research materials include 386 texts from Chinese textbooks for Taiwan elementary school students in six grades. The texts are reasonably assumed to increase in complexity of readability from grade 1 to grade 6. The readability of each of the 32 features is derived from the statistical trend analysis with respect to the grades. It is hoped that the results of this study can be of significant use in teaching Chinese reading in Chinese as a second language. In this paper we compare grammatical items included in four syllabuses published in China for teaching Chinese as a second language. The four syllabuses are the Chinese Proficiency Scales and Graded Grammar Syllabus, Syllabus for Undergraduate Foreign Students of Chinese Language in Higher Education, Syllabus for Foreign Students in Higher Education (Long Term Chinese Program), and International Curriculum for Chinese Education. First, we list all the basic information, including scopes, applications, and interrelations. Then we evaluate and readjust these items as we compare them across the syllabuses. Second, investigating the diverse perspectives and statistics, we analyze their grading criteria, proficiency scales, as well as regulated items listed in various levels, and form a common list of grammatical items. In the final part we provide a reasonable account of item distribution. This study investigated the selection of apologetic expressions between Taiwanese students and Malaysian Chinese students. An open-ended discourse completion test (DCT) was employed to collect both groups’ selection of apologetic expressions used in requests and refusals. The results showed that depending on the nature of speech acts and the listener’s social status, Taiwanese students and Malaysian Chinese students shared more similarities than differences in terms of the use of apology expressions. Of the four identified apologetic expressions, Bù hǎo yìsi (Excuse me) was the most used and followed by duì bù qǐ (I’m sorry) by both groups, indicating that Bù hǎo yìsi enjoyed more popularity than its counterpart duì bù qǐ did both in the speech act of the request and speech act of refusal. However, the uses of apologetic expression by both groups were more frequent in refusals than in requests. In addition, the higher the listener’s social status, the higher rate of occurrence of apologetic expressions. It was observed that both groups employed more apology expressions while in the situation of requesting or rejecting higher status, but not in the equal-status or lower-status situations. Finally, regarding the total number of occurrences, Taiwanese students employed more apologetic expressions than Malaysian Chinese students. Although both groups preferred Bù hǎo yìsi, it was observed that Taiwanese students selected more Bù hǎo yìsi than Malaysian Chinese students did. Experiential learning connects students’ learning activities in class and their experience outside the class, allowing them to apply their professional knowledge, language and skills in real life. This study is an action research in which the instructor introduced experiential learning method and found that it could enhance students’ learning motivation, stimulate traditional teaching method and creativity in using the teaching material. In addition, it can increase students’ intercultural competence, communication ability and the sense of achievement in learning. Nevertheless, proper administration is crucial to avoid obstacles when implementing this teaching method. Following a three-stage procedure, which leads students to familiarize with the business language in stride, can improve students’ linguistic and communication competence so as to achieve the target teaching objectives. Finally, recommendations on fundamental business Chinese teaching method and curriculum are offered. Most previous studies on pre-service Chinese language teacher education in Taiwan focus on local training. They mostly discuss preservice teachers’ teaching belief, the development of professional skills, training program curriculum design, etc. In contrast, this study aims to provide a different perspective on pre-service Chinese language teacher education by exploring the actual working situation of pre-service Chinese teachers at German universities. In the first part, a general overview on Chinese language teaching in Germany will be offered. In the second part, we will explore the working situation of pre-service Chinese language teachers on the basis of a survey on 20 Taiwanese pre-service Chinese language teachers who did their internship at six German universities. 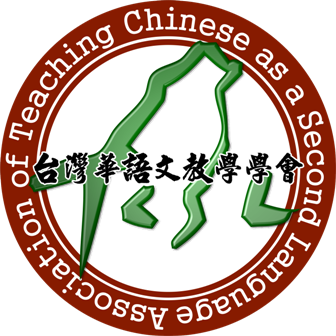 The findings of this study suggest that three issues that have arguably received insufficient attention in discussions on pre-service teacher training in Taiwan: (1) the importance of intercultural communicative competence, (2) competences in using a foreign classroom language, (3) understanding of Mainland China (society, history, language use, etc.). These issues should receive more attention in Chinese language teacher training programs in Taiwan. This paper examines the meanings of the modal verb yào in Mandarin Chinese as well as the acquisition of yào by L2 adult learners whose L1 was English, using data from the Academia Sinica corpus and a learner corpus. The modal meanings of yào were categorized into three types–epistemic, participant-internal, and participant-external. Major findings were: (a) the participant-internal yào was the most frequently used in the L2 data, followed by the participant-external yào and then the epistemic yào, which is consistent with the process of L1 acquisition and grammaticalization; (b) the rate of use of participant-internal yào decreased with the learners’ proficiency level while that of participant-external yào increased with proficiency level. Four types of errors, omission, addition, mis-selection and misordering, were analyzed. The analysis reveals that both the learners’ L1 and their having inadequate knowledge of Mandarin had important effect on their learning Mandarin as a second or foreign language. The placement of Chinese zai locative phrases before or after the main verb is based on a cognition-based semantic distinction between the location of an event and the location of an entity, especially as a result of the action. This distinction is also exhibited as de/ni distinction in Japanese, and as esΛ/e in Korean. The distinction is therefore useful in teaching the word order of Chinese zai locative phrases to Japanese students, Korean students, and students from other countries. The epistemic adverbs like qishi ‘in fact’ in L2 Chinese textbooks are traditionally only listed as lexical items and translated as ‘actually, in fact, as a matter of fact’. However, they often caused learners’ confusion in usage of the near synonyms such as shishishang, shizai, and zhende. This study utilizes the syntagmatic and paradigmatic relations of the epistemic adverbs through oral as well as written corpora to analyze the semantic and pragmatic functions. It shows that there are two meanings for qishi. One use of it is to point out the fact. The other is to express something contrary to what is expected. In order to raise learners’ consciousness and to avoid errors, this study suggests in addition to the translation of lexical items, the pragmatic function of epistemic adverbs be listed in the textbook and practiced in instruction. This paper introduces the outline of an international research project – Building a Diachronic Language Knowledge-Base, which was directed by Prof. Fengju Lo of Yuan Ze University in Taiwan and was also the swan song of Prof. Lo’s colorful life. The Chinese Idiom- Allusion Knowledge Base is one of the achievements of this project. It is based on the Chinese Idiom Knowledge Base developed by the Institute of Computational Linguistics at Peking University and the Allusions Knowledge Base by Prof. Lo. In this paper, we introduce the technical guidelines on connecting the above two knowledge bases to build the Chinese Idiom-Allusion Knowledge Base, its content and its application to idiom teaching on a platform (http://cls.hs.yzu.edu.tw/DLKB/Idiom_Index.aspx). For more than twenty years, we have been working with Prof. Lo in an interdisciplinary field of computational linguistics and Chinese classical literature. Being our longtime and close collaborator, Prof. Lo impressed us deeply with her erudition, diligence, rigorousness, kindness, cheerfulness and perseverance, which, together with her fruitful research achievements, will stay with us forever and ever. Many Chinese verbs are polysemy. From the perspective of pedagogy, high-frequency and polysemous verbs should be the focus of Chinese instruction. However, the identification of the senses of Chinese polysemy is extremely complicated, since the methods of distinguishing the senses of each polysemy are not necessarily the same. This paper, for the purpose of teaching the meaning of Chinese vocabulary, intends to differentiate between the individual senses and pedagogical application of high-frequency and polysemous verbs with an analysis platform constructed by Principled Polysemy (Evans 2005) and Sub-sense Units (Croft and Cruse 2004). For the application of curricula, the study combines features, such as verb senses, syntax or collocations, to define the individual senses of polysemous verbs. Furthermore, this paper attempts to screen out high-frequency verbs and polysemous verbs with frequency statistics, dictionary meanings and Chinese teaching materials. In addition, the study analyzes the individual senses of polysemous verbs with the verb kai that satisfies the screening mechanism. Finally, the author applies the theories of pedagogical grammar of Chinese and proposes the orders and procedures to teach a variety of senses of polysemous verb kai for Chinese teaching materials and curriculum pedagogy. This study presents preliminary findings on various constructs of motivation in students studying Chinese at various levels in a large scale Chinese program at a Midwest university in the United States. An innovative combinational model consisting of key factors in the motivation construct is proposed to facilitate determining whether the goals put forth in the National Standards align with the motivation constructs that students have for the language learning. Similarities and differences across levels were also examined. Based on the results found, suggestions are made to assist Chinese program directors and instructors to develop their curriculum and implement effective pedagogical methods.